As a customer-focused organization, our goal is to understand and anticipate the individual needs of our clients and to provide service that consistently meets or exceeds their expectations. Our qualified customs consultants will work closely with you to minimize your company’s costs and potential liability. We’ll ensure your company is paying the absolute minimum amount of duty through all available tariff relief programs while providing you with the essential tools and guidance needed to become fully compliant with complex customs regulations on both sides of the border. 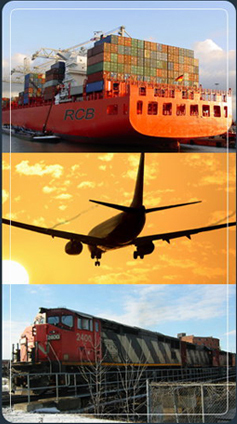 In addition to our core customs brokerage capabilities, Reliance offers a variety of international and domestic transportation, warehousing, logistics and distribution solutions. Through our network of affiliated freight service providers, customized, cost-effective services are available. We have over 16 years of experience in proper Customs classification of merchandise and entry writing. We specialize in Fresh fruit & Vegetables/ food and food related products and are specialists in U.S. Food and Drug Administration matters. We are experts in dealing with the special requirements of the U.S. Dept. of Agriculture. We coordinate with USDA before the vessel arrives to determine if they wish to examine, need to fumigate or usually release each related shipment. Each client is treated as an individual and each shipment is a hot shipment. Each clients special needs are assessed in advance and we work with each client to see that shipments are expedited to their ultimate delivery. Our job isn't done until the customer gets delivery. Our fully automated processes allow for near error-free entry presentation. Each client is given a separate computer profile, which includes delivery history, carrier preference, and custom duty classifications. Use of this automated system helps to guarantee accuracy, and minimize the shipment delays often associated with human error. Reliance's personnel are thoroughly familiar with the unique customs requirements applicable to the import and export of textiles and apparel. Through our network, we have immediate access to the Department of Foreign Affair's export and import control system and can quickly obtain the permits necessary to ensure the prompt release of goods at the border. Additionally, Reliance can provide information on commodity restraints, visa restrictions, labeling requirements, and TPL quota processing. We also currently handle clearance and delivery of live animals such as Horses, Pigs, Birds, and much more for the private and commercial sector. Whatever industry your company is in, Reliance has the flexibility and willingness to accommodate your individual requirements and consistently meet your company's unique service specifications.